Hello! This is Miko Tagawa, an intern at NICCO Kenya office. I came back to Kenya in the early this month after having a short break in Japan. 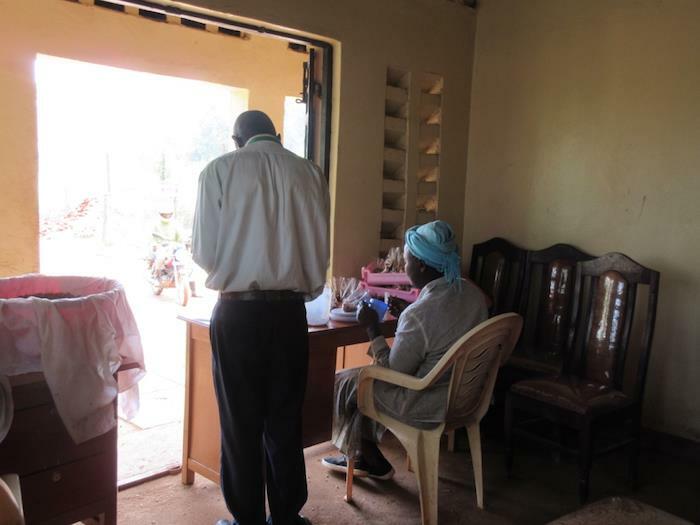 It is so grateful to see local staffs and members again here in Kenya, and I am excited to work with them as a team for the rest of time we have until the end of this project. Blue, Green, Brown. African beautiful nature. The last article I reported was about Ecological Sanitation Toilet called Eco-san Toilet. 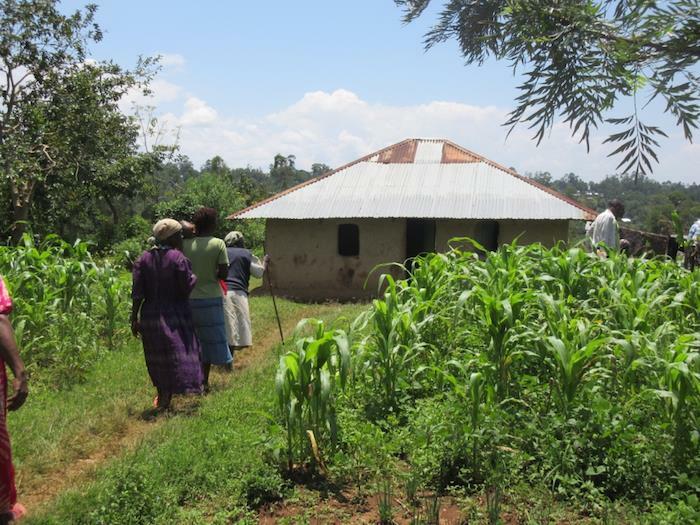 It brings us big positive impacts especially on sanitation and agriculture. Today, I would like to introduce agricultural activities. Agricultural committee members are coming to Processing Center every week and enjoying their duty that is assigned day by day. 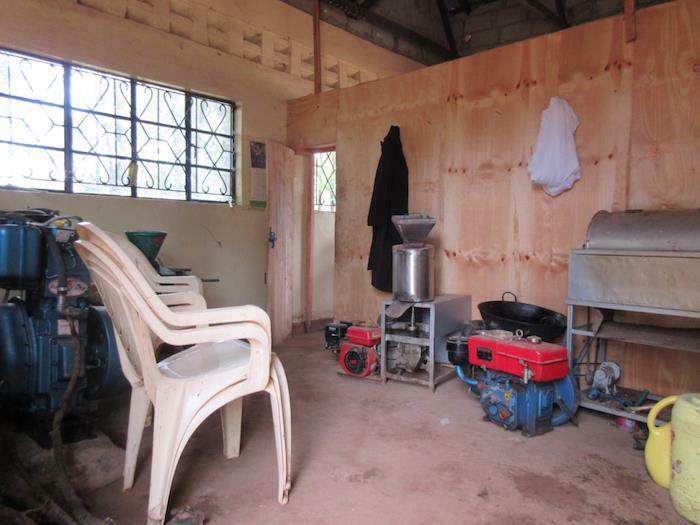 The members are processing crops such as soya and moringa into products such as soya-nuts, soya-beverage, and moringa soap by using these facilities. All the processes of making soya beverage is also done at this center. The members of agricultural committee teach me about it. Firstly, they weight the soya up to 20kgs. 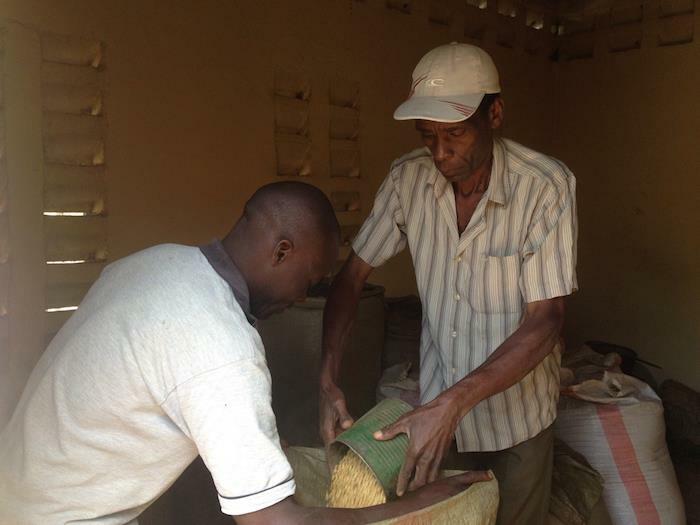 After that, they sort the soya so that they can process the ones in good condition only. Next, they wash them and dry them in the sun for approximately 30 minutes. Now, the soya is ready to be roasted in the energy effective cooking stove. They stew them for 45 minutes with low heat. 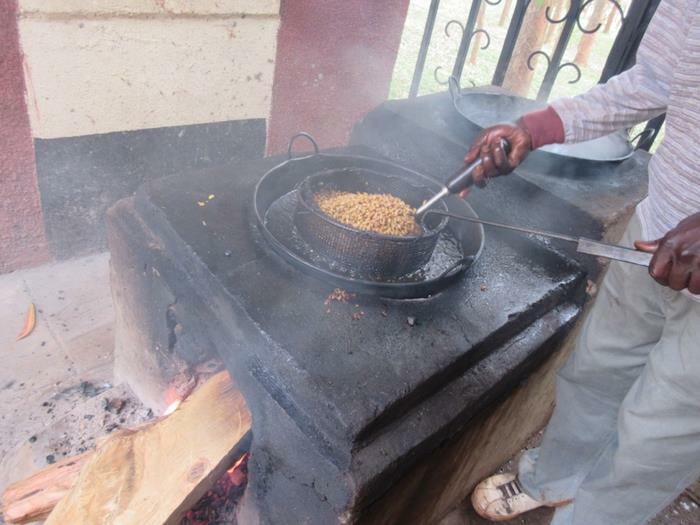 The soya is being roasted in the pan using energy effective stove. 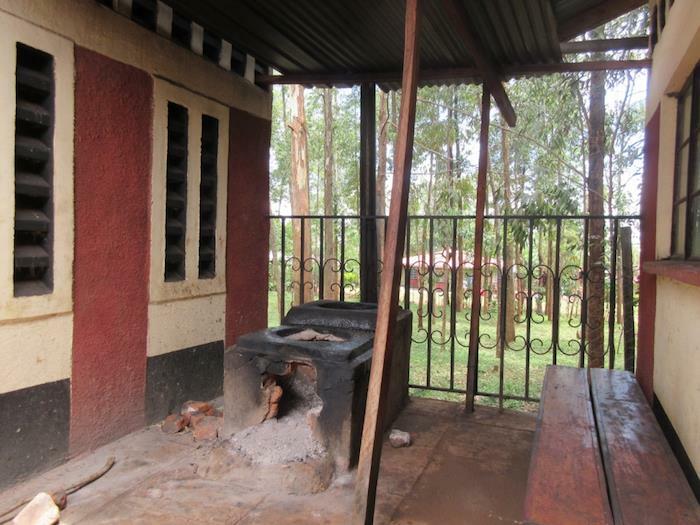 After roasting the soya, they take them out and cool them down for two hours. The one in the front is before roasted, and at the back is the one after being roasted. Then, they grind the soya to powder using the machine. 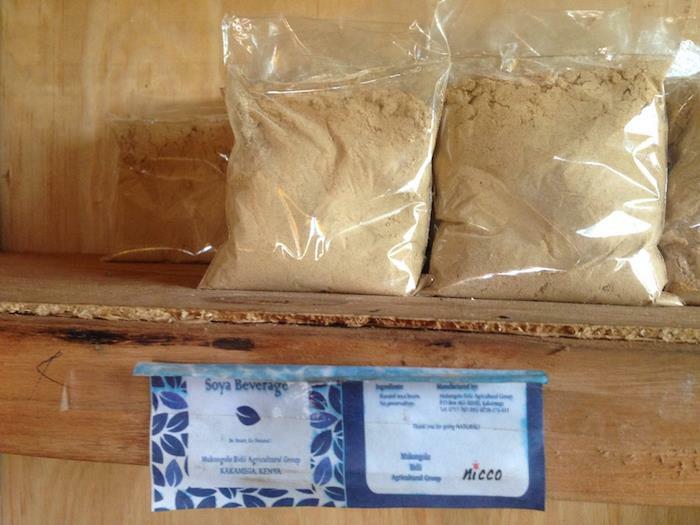 Finally, they weight and pack 100g of the soya powder, and seal the package. Weighting and packing the soya. Completed! Hereis the Soya Beverage they sell for 30 Shillings (30 yen) per each pack. Soya Beverages that are sold at Processing Center. 大豆飲料は、沸かしたお湯と混ぜ、砂糖を入れて飲みます。Soya Beverage is enjoyed by mixing with boiled water and sugar. 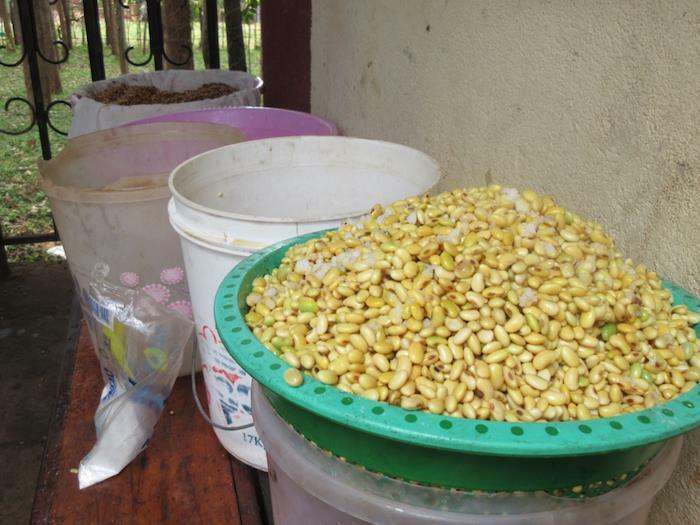 Soya nuts are processed in a little bit different way, but are processed by the members at same processing center. 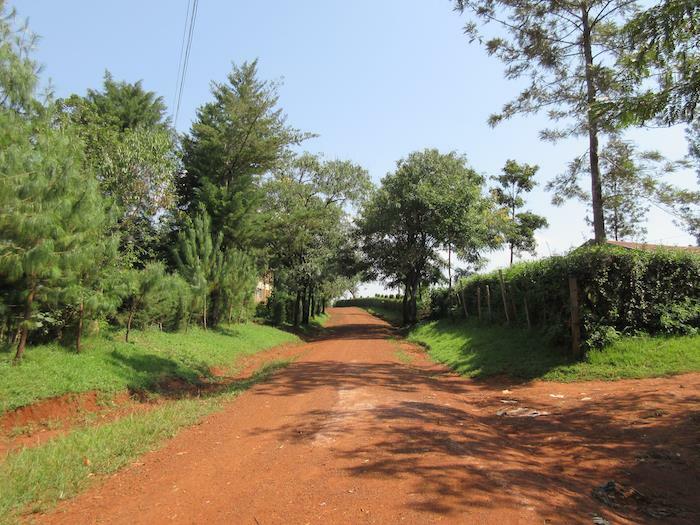 They are available at 10 Shillings for 60g. 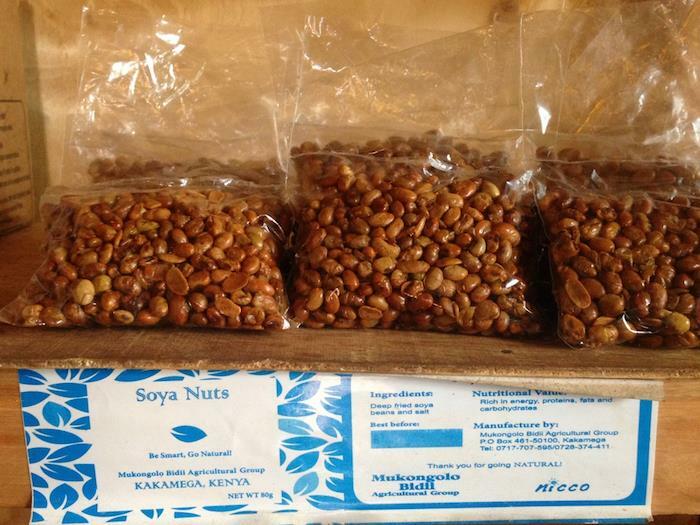 Soya Nuts that are processed and sold at the Processing Center. Soya Nuts is enjoyed as it is. Members are coming to Processing Center and enjoying their duty for making these products and providing them to the community. They are always cheerful, and kindly teach us about their duty. Wish them and their activity a continued success and prosperity even after NICCO leaves in November.